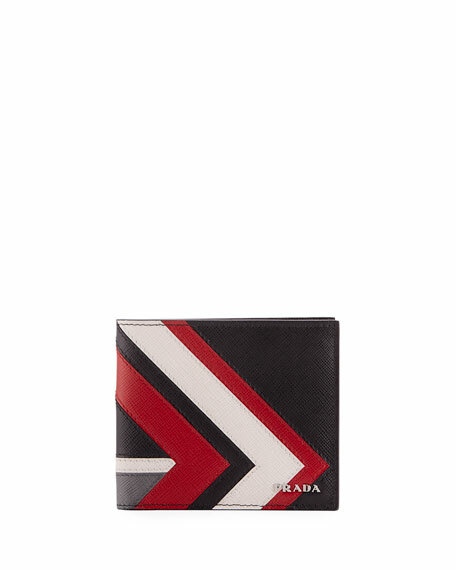 Prada bi-fold wallet in multicolor saffiano leather. Metal logo lettering at front corner. 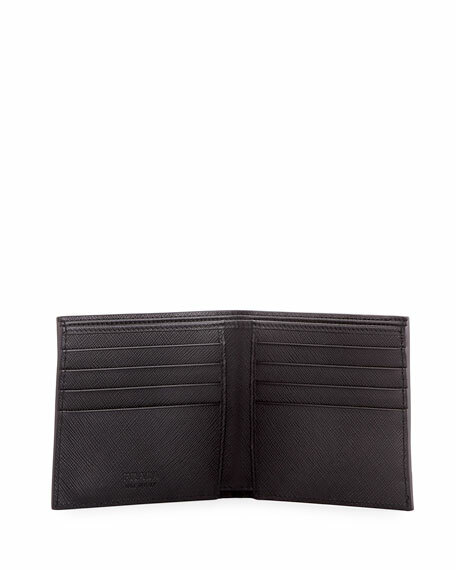 Eight card slots, two receipt pockets, two bill compartments. For in-store inquiries, use sku #2501281.